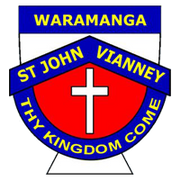 St John Vianney is the patron saint of clergy throughout the world, his feast day is celebrated on the 4th August. 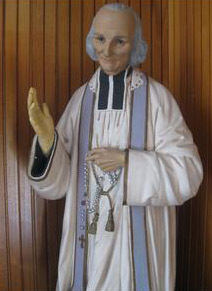 Jean-Marie Vianney was born to devout parents on 8 May 1786 in the French village of Dardilly. His early youth coincided with the beginning of the French Revolution and the age of Napoleon Boneparte. Jean-Marie grew up working on his parent’s farm and always struggled with his schooling. He continued to persevere with his education due to his aspiration to become a priest. In 1815 he was ordained and was appointed to the small village of Ars, where he served the people for the next 40 years. Father Vianney’s friendliness, endless patience, humility and prayer life saw thousands come each year to seek his help and spiritual guidance, he welcomed thousands to the catholic faith. He died at the age of 73 in 1859. The bishop presided over his funeral with 300 priests and more than 6,000 people in attendance. He was canonized by Pope Pius XI in 1925.